In association with Welsh Government, Share Cymru will be a key calendar event for Digital and Technical leaders across the Welsh Public Sector. Equip yourself with vital insights and leadership skills, helping you become a more effective and credible leader. From Vienna's new reporting app to social care and emerging technologies - Our latest issue is full of insight! Our high value corporate membership will enable you to really make the most of your relationship with Socitm. Our research service draws on practical experience of our members, expertise of partners, and world-wide know-how. Hear good practice from fellow members, get the latest policy updates and develop relationships with peers at our events. Our inspirational digital leadership programmes help individuals develop skills to fulfil their potential and in turn help organisations become more successful. Gain an up-to-date view of the quality of your ICT service, directing you to the things that’ll make a positive difference — today and tomorrow. 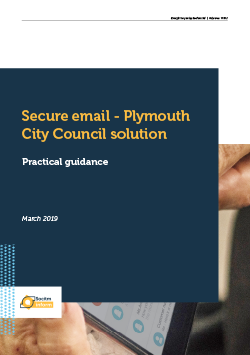 Consultancy support and strategic advice to the public sector, helping to transform IT services and assisting with the delivery of programmes and projects. Our policy briefings represent the interests of those involved in the design and delivery of public services. Diversity in the workplace is important. Everyone knows this. It gives organisations access to a greater range of talent: unrestricting creativity and opening up resources without boundaries. For the public sector particularly, it also helps provide insight into the needs and motivations of all service users, not just a few. Despite this, women make up just a tiny percentage of those working in technology throughout the UK. This despite the 2011 census revealing that 51% of the UK population is female. Alarmingly, a 2015 report from the UK Commission for Employment and Skills (UKCES), revealed that just 27% of digital technology professionals were female, a fall from an already low figure of 33% in 2002. In 2018, PWC undertook research with 2,000 A-Level and university students. Among the findings was how the gender gap in technology starts at school and carries on through every stage of girls’ and women’s lives. Only 27% of female students surveyed said they would consider a career in technology, compared to 61% of males, and only 3% said it was their first choice. The survey also found a lack of female role models has reinforced the perception that careers in technology simply aren’t for women. In fact, only 22% of students could name a famous female working in the field whereas two thirds could name a well-known man working in the sector. With only 5% of leadership positions in technology being undertaken by women, challenging girls’ reservations is not immediately easy. Furthermore, for those women already working in the sector at every level, opportunities to network and share excellence with peers can be limited. Nadira Hussain, Socitm’s Director of Leadership Development & Research explains: “When it comes to encouraging more women to look at careers in technology, it’s about demystifying the world of ICT. Nadira adds that it is vital women are offered coaching and mentoring and a network where issues and ideas can be discussed in confidence – something Socitm actively addresses. Additionally, she says, it is important that male colleagues are understanding and supportive. The next Socitm Women in IT meeting takes place immediately after Share Cambridge on 25th April 2019. The focus of the meeting is ‘Healthy is the new happy’ and everyone, irrespective of gender, is welcome to attend to share excellence, network, exchange personal experiences and listen to our prestigious programme of speakers, including a keynote from Lisa Harrington (from Socitm’s training partner QA ). Lisa will share her professional experiences, including the ups and downs she faced before taking up her board position at BT and her passion for mental health, from running Broadmoor to championing workplace wellbeing. We hope all Share Cambridge delegates will join us for ‘Healthy is the new happy’ and look forward to seeing you there. On 25th April 2019, Socitm’s Share Cambridge event focuses on the wellbeing and health of residents and places. We explore how taking a fresh look at the determinants of people’s wellbeing can enable the public sector in the widest sense - housing authorities, leisure providers, environmental management, education, police, public health, care organisations and health providers - to refocus its efforts on addressing the often entrenched and endemic problems in our communities. 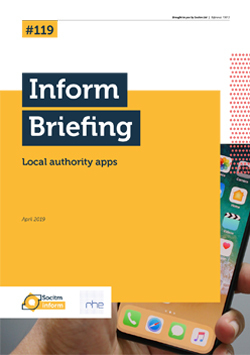 This provides the context for us to examine how digital technologies and better use of data can help deliver this transformation in collaborations involving District, County and Unitary Councils, as well as their diverse partner organisations. Share Cambridge will focus on improved wellbeing outcomes for service users rather than processes. We will go beyond examining how to digitise public services. Instead, the event will ask how we can use digital technologies to improve services. We will also examine how sociological improvements have already been made as a result of gathering data, a vital component of a successful transformation strategy that can have an exponential impact on improved wellbeing. For example, councils have made better use of data to tackle problem gambling. In Dagenham, data scientists mapped local mental health problems, homeless shelters, food banks and payday loan shops to show how many vulnerable people were living close to betting shops. As a result, the council was able to rethink its gambling policy for the borough. Share Cambridge will also consider barriers to creating better digital public services, for example, where service users prefer direct human interaction or digital inequalities make accessing services challenging for some end users. We will also discuss the challenges associated with changing the culture, internally, of an organisation to make it digitally focused. Attendance at Share Cambridge is free for public sector and NHS members. Non-member delegates are warmly invited to register and advantage of thought leader talks, best practice seminars and peer networking in this specialised area. As a precursor to this ground-breaking event, our latest blog explains why our vision is integral to creating an environment that’s happier and healthier with better outcomes for everyone, however complex their needs or the diversity of services required to meet them. Share Cambridge 2019 takes place today, Thursday 25th April. The event’s key focus is the wellbeing and health of residents and places and, together with our policy partner DELL EMC, we are developing and sharing cutting-edge ideas on how we can all help to build better communities. Together, we’ll be taking a fresh look at how the determinants of people’s wellbeing can enable housing authorities, leisure providers, environmental management, education, police, public health, care organisations and health providers (he public sector in the widest sense) to refocus its efforts on addressing the often entrenched and endemic problems in our society. 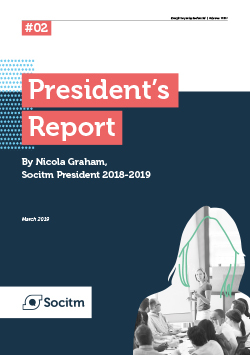 Over the next six months, Socitm will be furthering this important discussion by publishing a series of guides explaining how digital technologies and better use of data can help deliver a health and wellbeing transformation through collaboration with people in their diverse settings. Committed to conversation and collaboration, we want to hear your views. We’d love your feedback on the topics we plan to cover. Are there other areas you’d like us to address? What are your thoughts on the points outlined below? National Backdrop – NHS deficits and cumulative budget reductions in LG, ageing demographics, smart cities, workforce challenges, changes in expectations within society, reduction in service variation, place-based and people-centred priorities, left-shift, wider determinants of wellbeing, innovation initiatives, looking after yourself, focusing finite resources on the most vulnerable including those with long terms conditions. 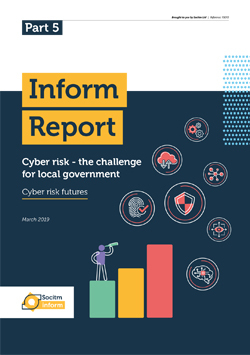 How can local authorities respond? Role of the CIO/CDO, digital leaders and place-based convenors. How to deliver HealthTech innovation in your location? Conclusions – sense of purpose – people (awareness, skills …) – processes – data sourcing and management – technologies and tools – investment. Please add your voice to this important conversation. Get in touch via Twitter using #sharecambridge and WomeninTech. Discussion is healthy and our wellbeing depends upon digital leaders like you sharing excellence and ideas.